Yup! I was a bit of a plunge for me, but i got a good deal on it. 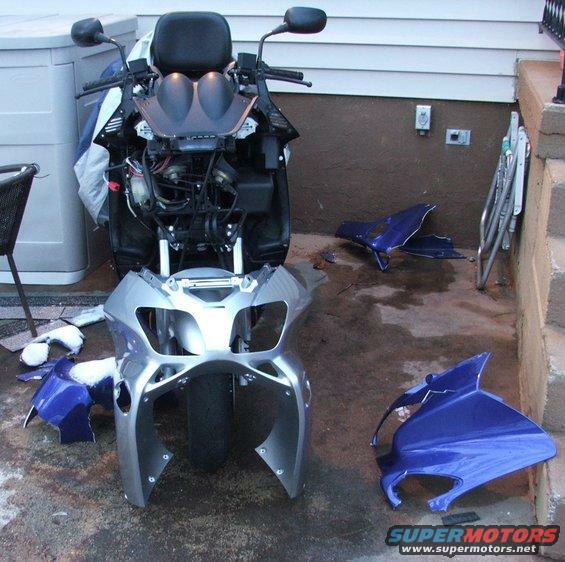 It's a 2006, very low miles, and might as well be brand new except for a few scratches! I got it for less than half the price of a new one. Last edited by 85crownHPP; 10-01-2013 at 09:53 PM. Very nice. I work with a guy that just bought a new Vespa he fills up for about $5 a week, or so he says. Doesn't that make 2 scooters for you now? 1985 LTD Crown Victoria - Currently restoring after she caught fire! CFI to SEFI to Carb swap, all custom wiring, Duraspark 2 ignition, Motorcraft 2100 Carb, slicktop, Shorty headers dumped before rear axle, 140 Speedo, 3G alt, And currently building an engine for her. 2000 Lincoln Town Car Signature Series - 165XXX, PI intake swap , 30 MPG Easy on the Highway , All options except dual exhaust. Currently looking for 2 front seats: Heated, Memory, and Light Graphite color!! Yup, one good one and one broken POS. 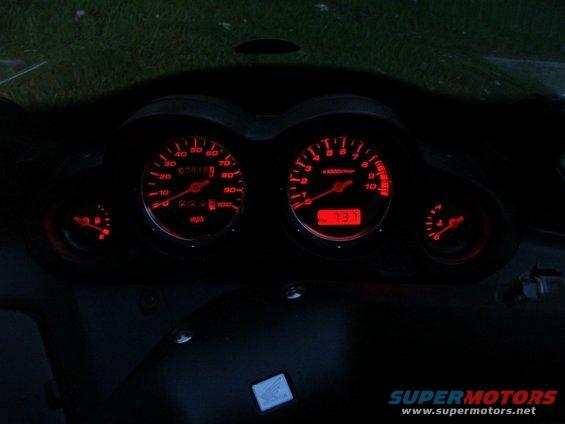 The 150cc has a come-and-go problem that will let it run just fine one minute and not want to rev up the next. I've exhausted lots of time, a bit of money, and all possibilities I can think of and find doing research. Except for one 'maybe' that is a tad pricey, fairly laborious and requires buying a scooter flywheel puller. 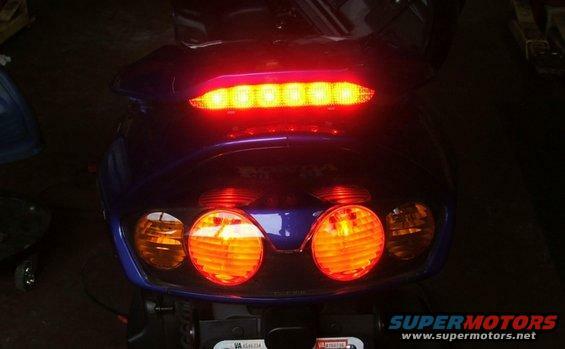 This Reflex happened to pop up at the motorcycle shop I go by a few times a week fetching tires for work. 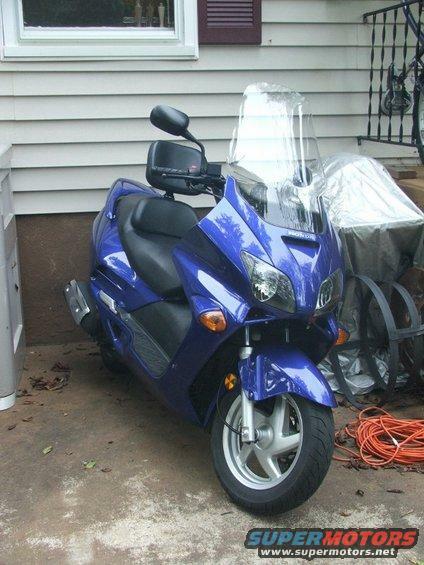 I like to entertain fate, so it was hard to pass up a perfect upgrade to a low miles 250cc Japanese scooter at a decent price. Being on two wheels in general is incredible - I know if everyone could at least try it, half the cars on the road would turn into some kind of two wheeler! 4 wheels and a cage for me thanks. I have a harsh relationship with 2-wheel vehicles. I've had enough scary encounters with 4 to wish to contend with the other morons on the road with only 2 wheels and my blubber protecting me. The Japanese have been making very good motorcycles for a long time. Hondas work, no question about it. They won't have parts vibrate off like Hardley-Ablesons and they aren't as annoying to listen to either. they won't have parts vibrate off like hardley-ablesons and they aren't as annoying to listen to either. 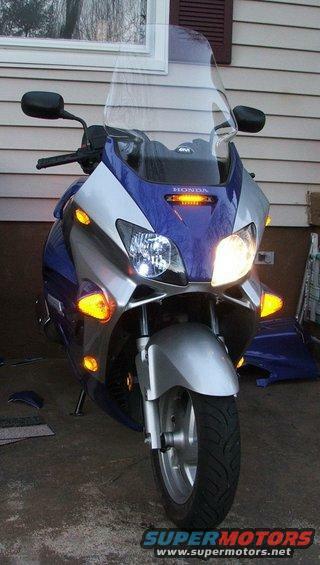 Here's the start of some visibility upgrades - these are both DOT approved lamps. The brake light is a trash-to-treasure score from a newer Toyota Camry. Last edited by 85crownHPP; 10-01-2013 at 09:55 PM. Very nice. 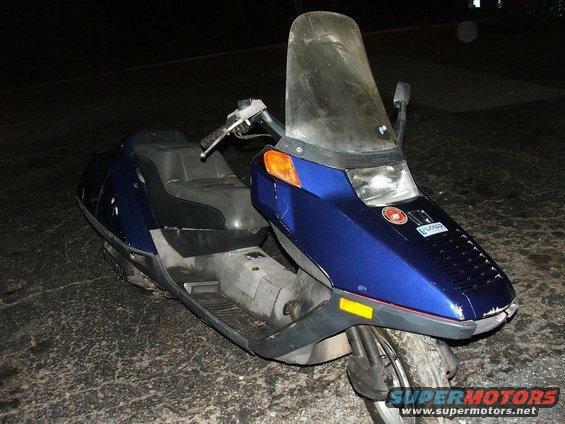 I've always wanted a scooter to run around on. -85 Town Car: Crushed, gone to a better place. The top center piece and turn signal covers were unbroken and will create a possibly sweet looking two-tone theme. And of course, since this piece is no longer unmolested original, its time to bedazzle! And oh yeah, this happened. 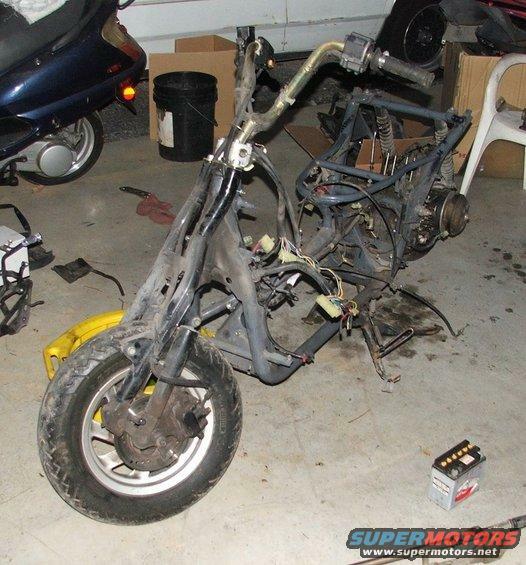 I think it's going to become a naked/streetfighter/hotrod scooter. 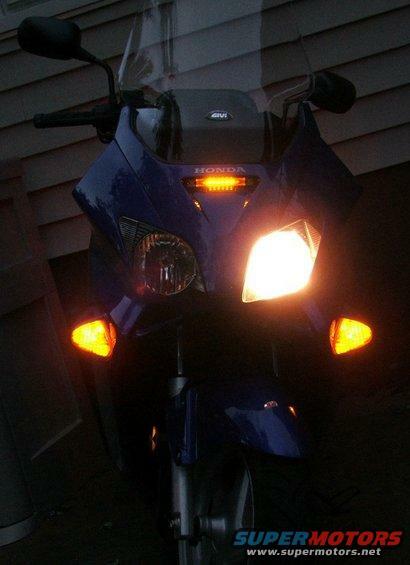 The new LEDs on the side blink alternately with the signals of course, and she feels just the same as before! This happened to the Helix I dragged home, I started taking the engine apart since I could see someone had tried, and I found the piston was missing!